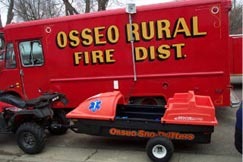 The most advanced, remote-rescue units. 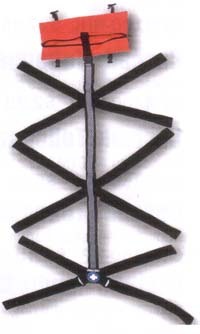 Available in fiberglass or polyethlene. 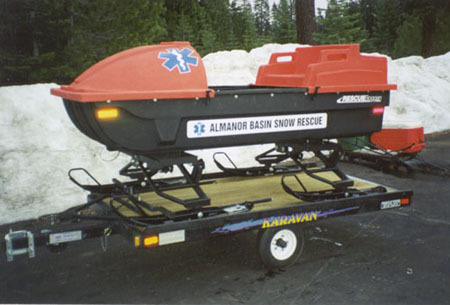 Rescue Boggans and Snowbulance are strong, lightweight and easily towed. 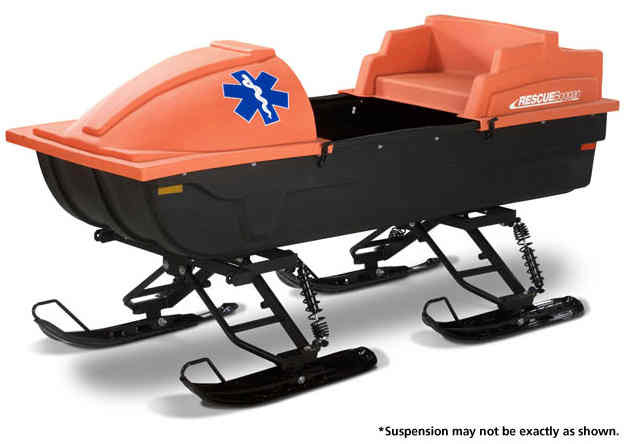 A superior suspension and cushioned hitch provides a high level of patient comfort. 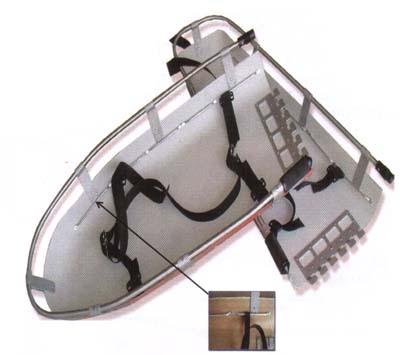 The hood and attendant's seat are easily removed for full access to the patient. 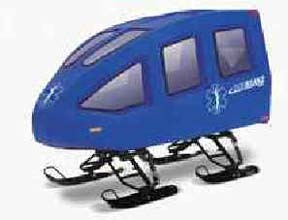 Units are available in ski-mounted or all-terrain wheel-mounted models. 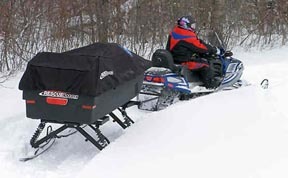 The unit on the trailer shows the wishbone suspension system, all units come with a gas shock system now. Equipment are truck shipped to you, please use the Get Quote button and proivde your shipping address so we can get an accurate shipping quote. Discounts are provided on the equipment based on what is being ordered and we also pickup part of the shipping cost. 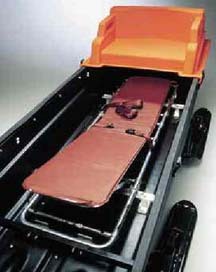 Polyethylene: Length: 96" Width: 35" Depth: 15 1/2"
Note: The stretcher pictured is our older models which had a problem with availability. 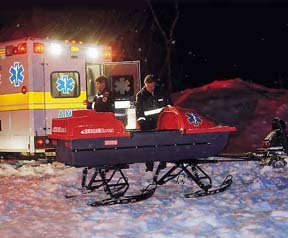 We now offer two stretchers, a simpler stretcher similar to the picture without the tilt feature and a full stretcher with wheels and tilt which collapses and fits completely in the Rescue Boggan. We also have two different litters available.